Rachel completing her 2018 AT thru-hike. Although she came to us over a month ago, we are finally able to announce her joining on the team of Redline Guides. She had been busy after completing her thruhike of the Appalachian Trail (AT). Rachel is proudly born and raised in Ohio. 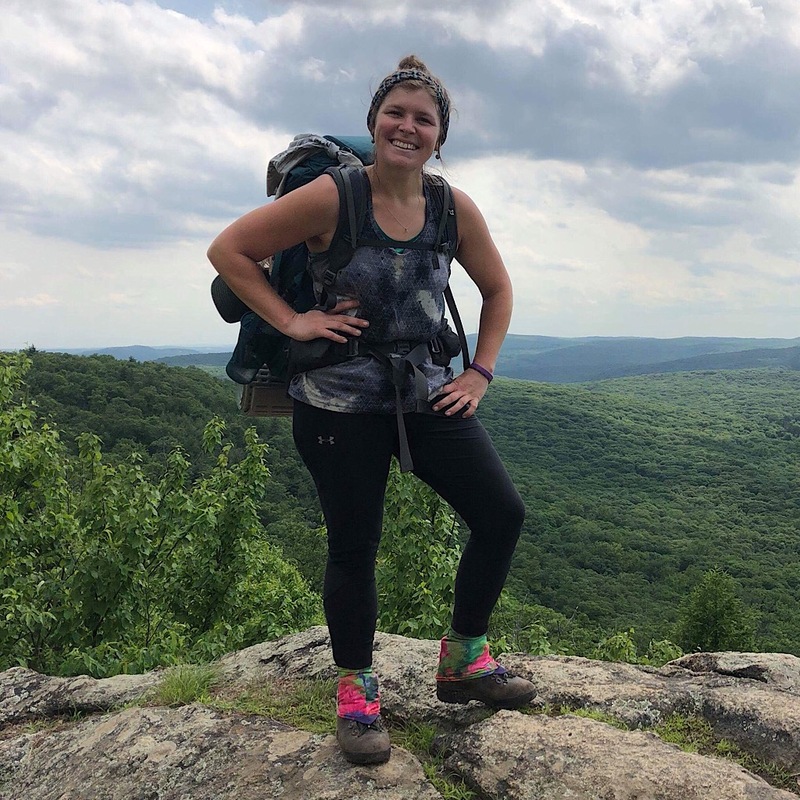 As a lifelong Ohioian, Rachel first moved to New Hampshire in 2010 upon graduation from Allegheny College to do trail work with the SCA (Student Conservation Association). Although Rachel has always loved hiking and camping, New Hampshire was her first experience with mountains. Rachel’s first mountain hike was Franconia Ridge in January of 2010 and the beauty captivated her. After finishing her 10 months with the SCA, Rachel moved to Montana to work for Montana Conservation Corps to continue trail work. After leading high school students on trips to do trail work for a year, Rachel decided to remain in Montana for two more years in attempt to get to know different areas of the state. Looking for a new oppurtunity, Rachel moved to England for 10 months to voluneeter at a charity. Rachel took full advantage of traveling while abroad, including hiking across Spain on the Camino de Santiago. 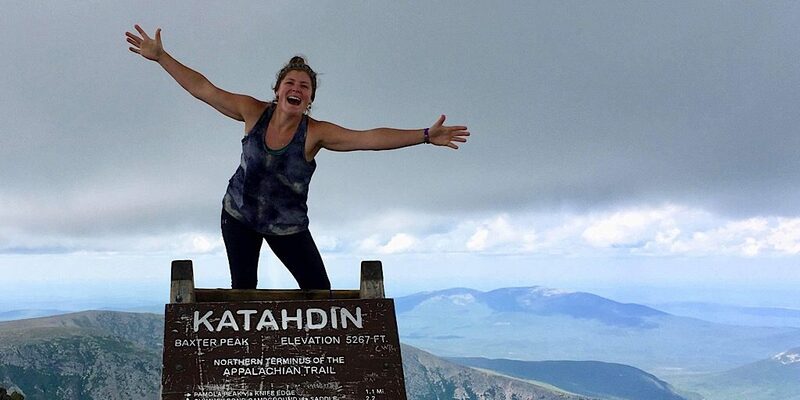 Once completing the hike, Rachel returned to Ohio to work with students awaiting foster care, followed shortly by moving back to New Hampshire to begin guiding at a Wilderness Therapy program for troubled teens. At this time, Rachel learned about the 48 4000 footers and decided to accept the challenge. Although she is still five mountains short, Rachel has thoroughly enjoyed exploring the White Mountains. 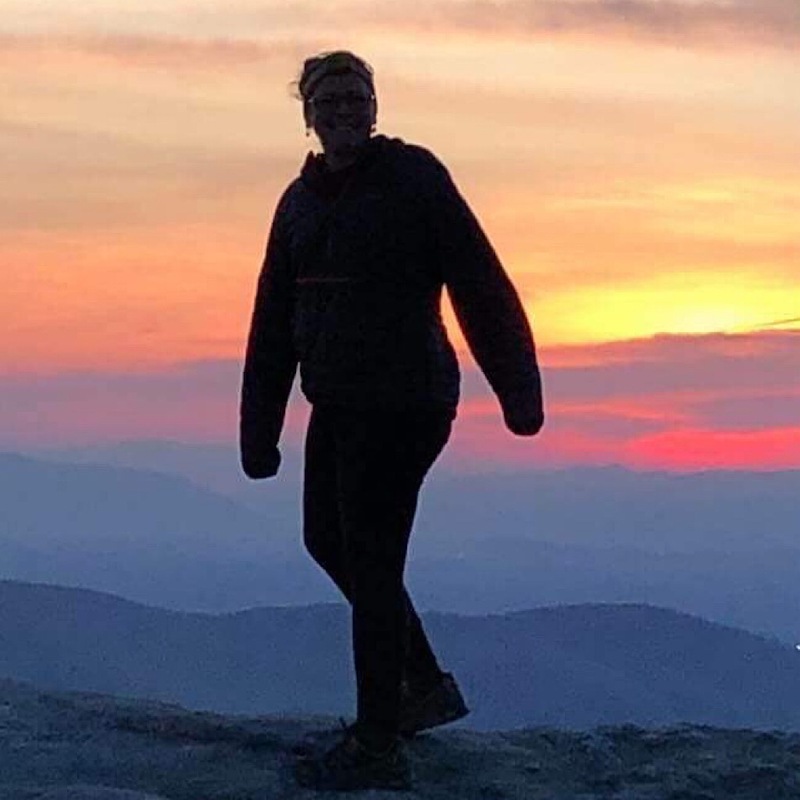 After living in New Hampshire for two years, Rachel flew to Georgia in spring 2018 to hike the Appalachain Trail to Maine. 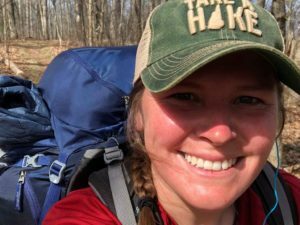 Although Rachel found the thru hike to be emotionally trying, there is nothing she would trade for the opportunity or knowledge that she gained from this experience. In New York for this photo, with over a 1000-miles behind her. The beauty of staying on trail… backpacking rewards. 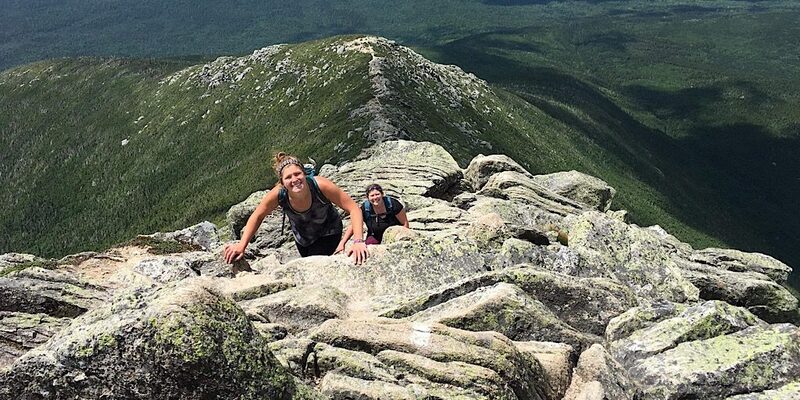 Rachel, with the company of her sister, climb Katahdin for the finish. Welcome aboard, Rachel. We’re happy to add you to the team.